A capriccio or caprice (sometimes plural: caprices, capri or, in Italian, capricci), is usually a lively style of music, typically with a free form and structure. The music is fast, intense and often virtuosic. The term was first used in 1561 by the Franco-Flemish composer Jacquet de Berchem, who applied it to a set of madrigals. Through the 16th and 17th centuries the term was used for madrigals, vocal music and for strictly instrumental music, in particular keyboard music. In the Baroque era often it was employed for short keyboard pieces such as those by Girolamo Frescobaldi. The C minor Partita BWV 826 by Johann Sebastian Bach ends in a Capriccio, this contrapuntal piece is centered around a lively, humorous subject. The Italian Niccolò Paganini composed a set of 24 capricci which are virtuoso violin works, while his friend Luigi Legnani similarly named his 24 guitar pieces as capricci. As far as the orchestral genre goes Pyotr Ilyich Tchaikovsky and Nikolai Rimsky-Korsakov both wrote using the style in their Capriccio Italien and Capriccio espagnol respectively. Johannes Brahms contributed many piano capricci all of which are considered to be among the most thoughtful and unusual works of the Late Romantic period. A concerto-like Introduction and Rondo Capriccioso by Camille Saint-Saëns was written for violin and orchestra. The frenchman Napoleon Coste wrote a fine example of the caprice in his Grand Caprice Opus 11, for guitar. 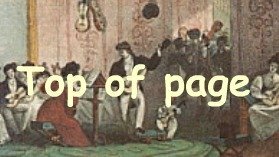 Caprice Sheetmusic at this page!